The smart way to grow your Space Coast small business is to team up with a household name like Valpak. It’s smart because Valpak of Space Coast FL provides the cost savings of shared direct mail marketing, as well as an unprecedented level of consumer targeting. We can also develop your search engine optimized small business website and link it to valpak.com. Want to start smaller? Get a Business Profile Page on valpak.com and gain online exposure for your business. As a Google Premier Partner, Valpak offers peace of mind that your site will be optimized to get you found in online searches. Combined with our full suite of digital products, including pay-per-click, social media marketing and search engine optimization, we also provide easy access to your results. Get the answers to your proof of performance questions. Our performance dashboard and call tracking tools offer dynamic marketing campaign analysis and consumer engagement reporting. Call now and learn how Valpak of Space Coast FL can help you target affluent consumers in Brevard County, including Melbourne, Palm Bay, Cocoa Beach, Viera, Titusville, Merritt Island, Rockledge, Satellite Beach, Cape Canaveral, Mims and Indialantic. For specific dates and coverage, contact your Valpak of Space Coast FL representative. 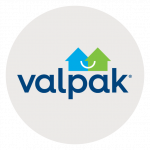 Valpak of Space Coast FL is an independently owned Valpak franchise.